Sometimes pieces leave me completely stumped as to how to refinish them. This piece was given to me by a friend, completely stripped and ready to paint. A blank canvas. The wood was a beautiful colour. 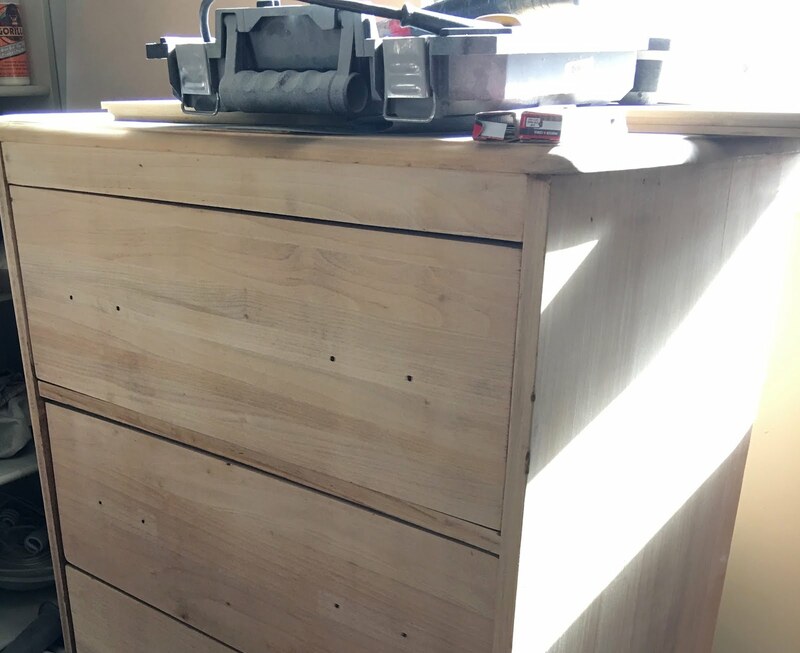 The drawers were near perfect, but the body had some dings and dents and imperfections that would have stood out like a sore thumb if I had left them unfixed and the entire piece unpainted. Besides, I can't not paint furniture... 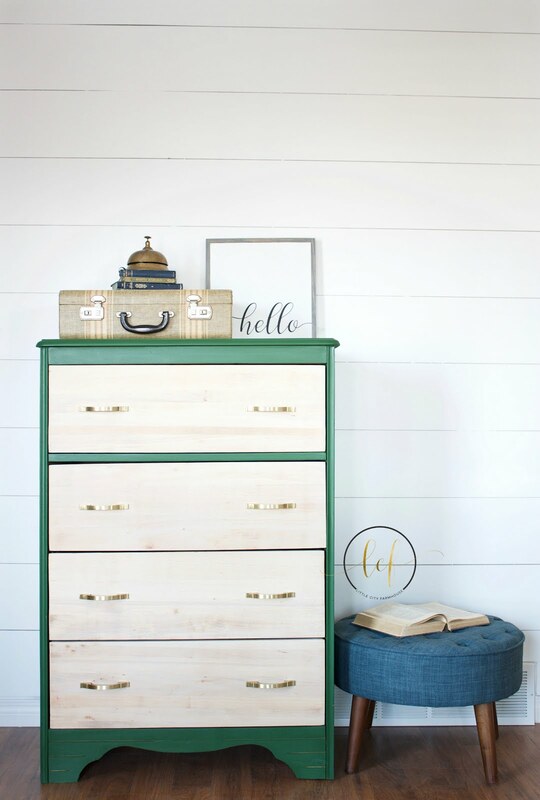 I came up with about a hundred different options for this dresser from stained to painted to stencilled all the way back to partly natural wood. 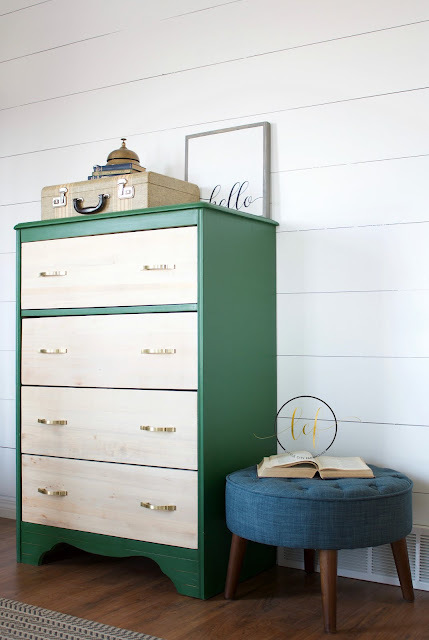 One of Country Chic Paint's new spring limited edition colours, is this beautiful bold green, Wild Clover. I have never painted a piece green before, can you believe that? Time for something new! I gave the shell of the dresser three coats of Wild Clover, and then topcoated it with Hemp Oil. Hemp Oil is the perfect topcoat for this piece since it was painted over raw wood. The hemp oil will absorb all the way into the wood and protect and condition it from the inside out! It is one of my favourite topcoats to use for ease of application and strong durability. To protect the drawers and give them a soft look, I waxed them with White Wax. I love the very subtle white that settled in the pours of the wood. 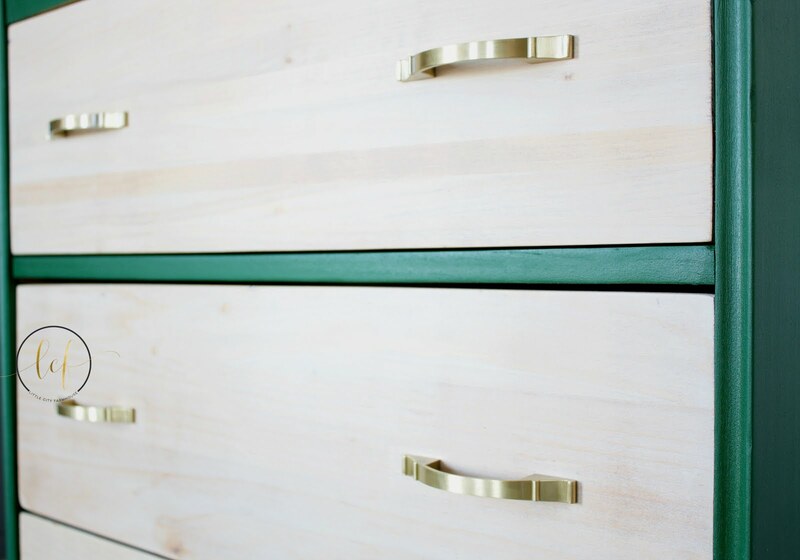 I used gold hardware to tone in with the drawers and pop off the green. This is the perfect piece for a boy's room but I can definitely see it paired with bold florals for a girl's room! 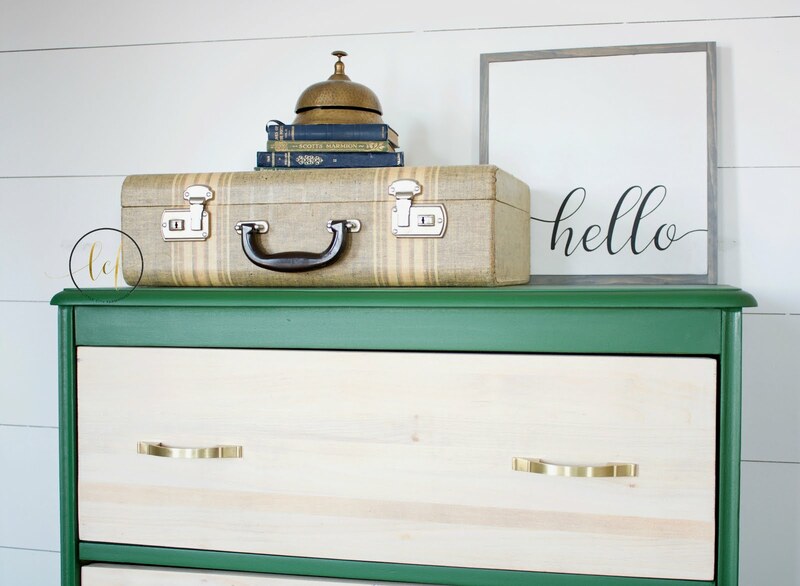 Find more examples of how Wild Clover is used on Country Chic Paint's Instagram feed! You can follow us on Instagram too!